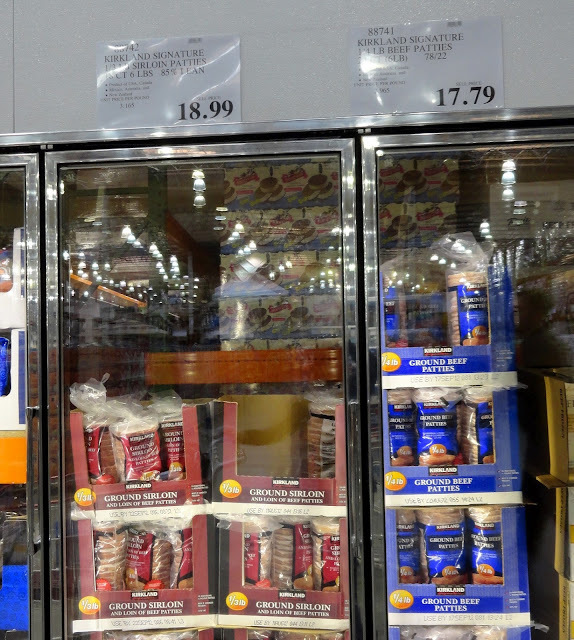 Yesterday, I explained my love/hate relationship with Costco. Costco charges a $50 membership fee per year. It takes discipline (and a little price comparison) to help you recoup your membership fee and save money while shopping at Costco. I can live without my Costco membership, but when I do find myself with membership card in hand, these are the things that I think are worth buying. Gas image **as a side note, on the times when I have let my membership lapse, my membership card has still remained active at the pump. 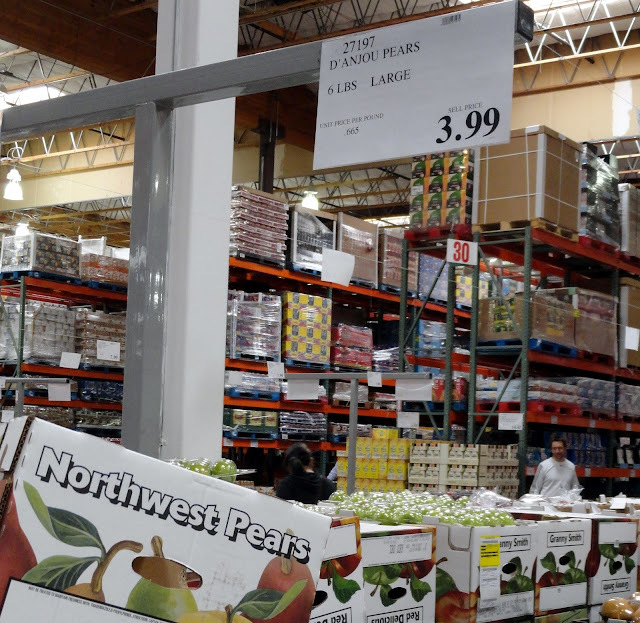 The first place I stop at when I walk through the doors of Costco is to the produce section. Not all of the produce is a good deal. During the summer, most of my produce comes from a local fruit and vegetable stand or from our local farmers market (it's cheaper, organic, and local), but during the other times of the year, when produce prices soar at your local grocery store, you can find some deals worth picking up. Hearts of Romaine 6 count for $2.99 (That's 50 cents per heart) Sweet Mini Peppers A 2 pound bag is $3.79 I use these peppers for everything from sandwiches, in our salads, as stir fry, or just as a snack. During the winter a whole yellow/red/orange pepper can set you back $1.50 at the grocery store. D'Anjou Pears 6 pounds for $3.99 That's about $.67 a pound *I will often buy this bag and share it with a friend. The problem with 6 pounds of unripe pears is that they usually become ripe all at the same time. It's not a good deal if you are wasting half of the bag. 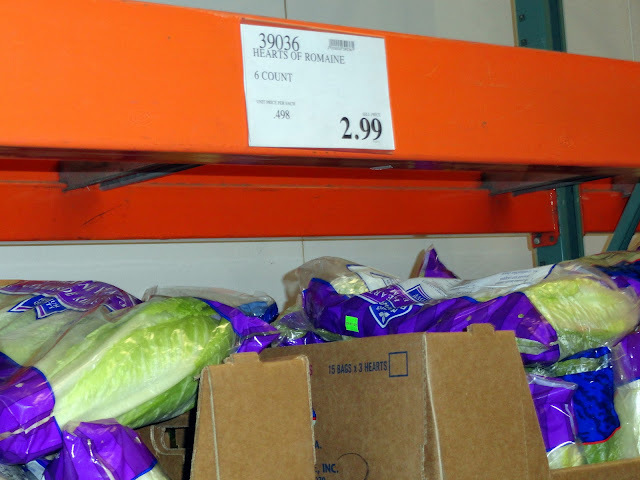 **Produce item prices can change by several dollars in the same week. I went back the same week that I took these pictures and found that the sweet peppers were now over $5 per bag and the pears were over $4 for 6 pounds. Be aware of the prices! AllerClear 10 mg of loratadine (compare to Claritin) The price on this allergy medicine continues to go up by several dollars each year. It comes as a year supply (365 tablets-1 per day), and with a coupon this year it cost me $9.99. It's still a better deal than most other allergy medicines at the drug store, but it won't be for long. I started buying it when it was only $4 per bottle...a much better deal! 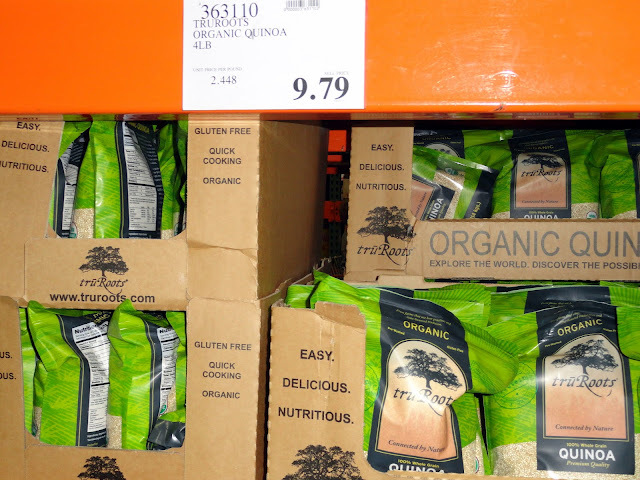 Quinoa 4 pounds for $9.79 Around $2.45 per pound Quinoa is a super food that our family eats as a substitute for rice. In bulk at the grocery store I was paying around $4.50 a pound for it. 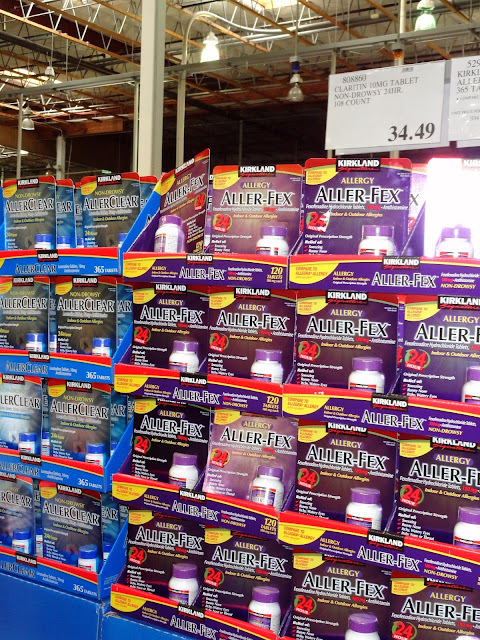 Thankfully, Costco carries it for almost half the price. *Not everyone loves Quinoa though. It's best to try it before you buy it and get stuck with 4 pounds of something your family won't eat. 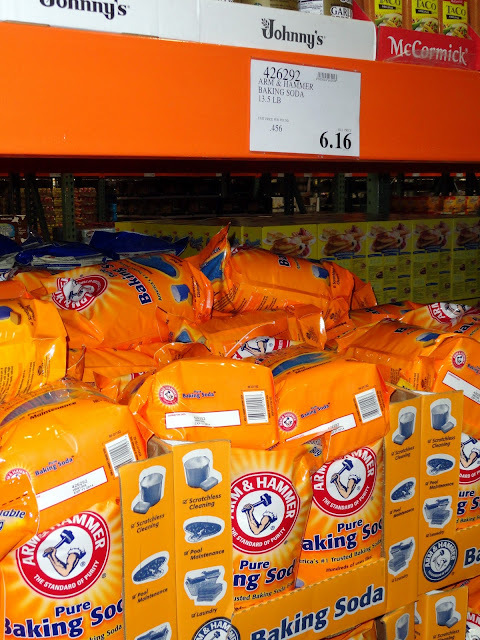 Baking Soda 13.5 pounds for $6.16 I know most people will tell you when they had babies, they bought diapers and wipes at Costco. When I had babies, I bought baking soda at Costco. I have no experience with the prices of diapers/wipes at Costco so I can't help you there, but as a cloth diapering mom, I used baking soda in our dirty diaper bucket to help neutralize the odor and used vinegar in the pre-wash cycle when I washed them. 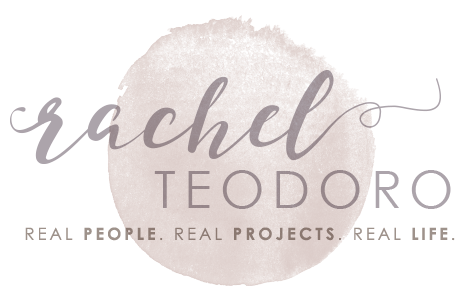 **This was a purchase I only made as a cloth diapering mom. Think about how you use baking soda. Usually by the teaspoon. It would take you years to get through a bag this size and by that time, it would expire...and yes, baking soda expires! 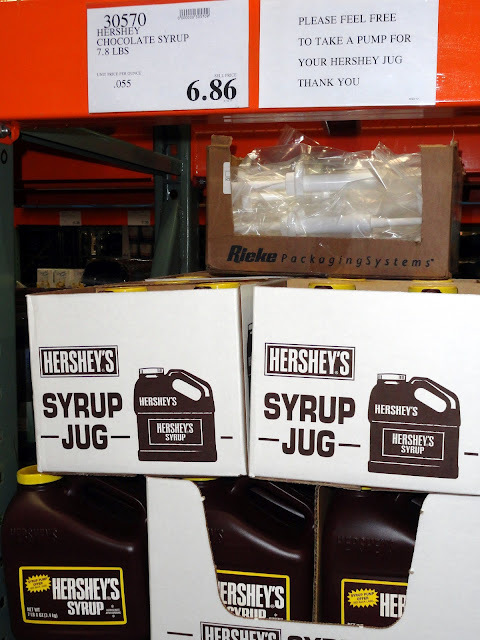 Hershey's Chocolate Syrup 7.8 pounds for $6.86 This is one of the "extras" that I buy at Costco, that I could easily cut out of my buying if I had to. I use a squirt of syrup in my protein shake. The kids use it on top of bananas for a snack. 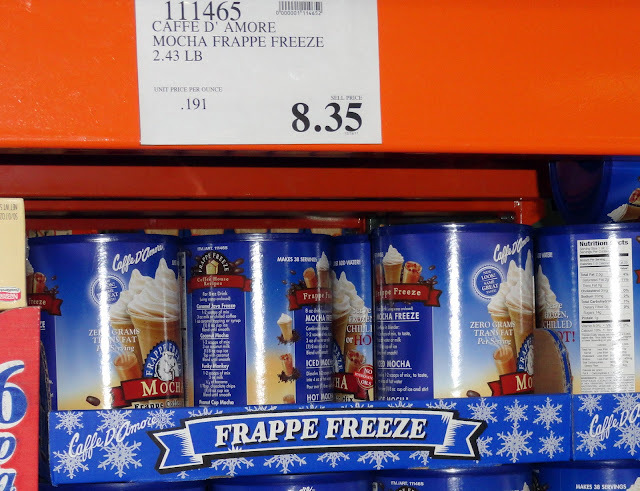 Mocha Frappe Freeze 2.424 pounds for $8.35 I am addicted to this blended coffee. Have been for years. You can mix one scoop of mix with one scoop of protein powder when you make a protein shake (on days when I lift weights or am training for a race). Or for a treat, I mix 2 scoops with 8 ounces of milk and ice and blend it together. For me it tastes similar to a Starbucks Mocha Frappaccino but costs WAY less and has far fewer calories. 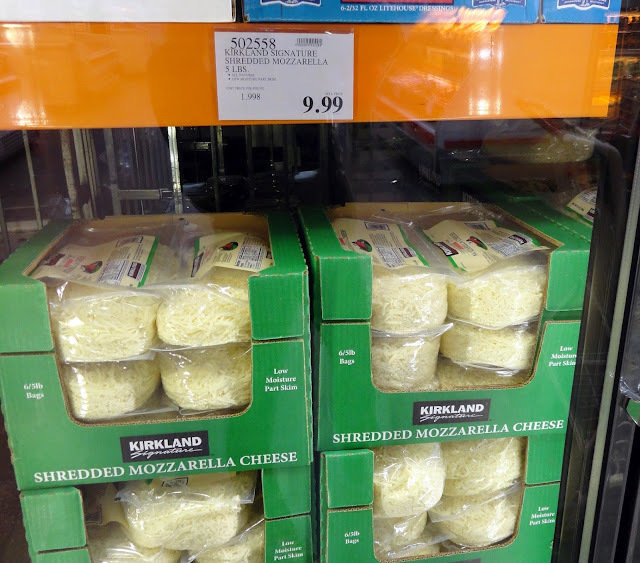 Kirkland Shredded Mozzarella 5 pounds for $9.99 Around $2 per pound I only buy this cheese in bulk when I haven't found a sale at our local grocery store. Over the years it's gone up in price, but it still is a better deal than shredded cheese that isn't on sale. I will bring this home and put it in separate smaller ziploc bags and freeze each bag. Frozen peas/corn 5 pounds for $5.59/$5.89 I can find a better deal on frozen vegetables at our local grocery store, but the flavor of these outweighs the better price of the grocery off brand. It's worth the extra 50 cents for our family, and each bag usually lasts several months. I LOVE Costco......one of my finds is farro. Like your quiona, it is MUCH cheaper than purchasing it at the grocery store, if you can even find it at the grocery store! I like to buy the baby cucumbers there when our garden isn't producing. They are between $3-5 and have close to 10 of them. My kindergarten daughter would even take them in her lunch to school! I also like the giant bag of Crasins. It's normally $6-8 and cheaper than the regular stores (without a coupon). 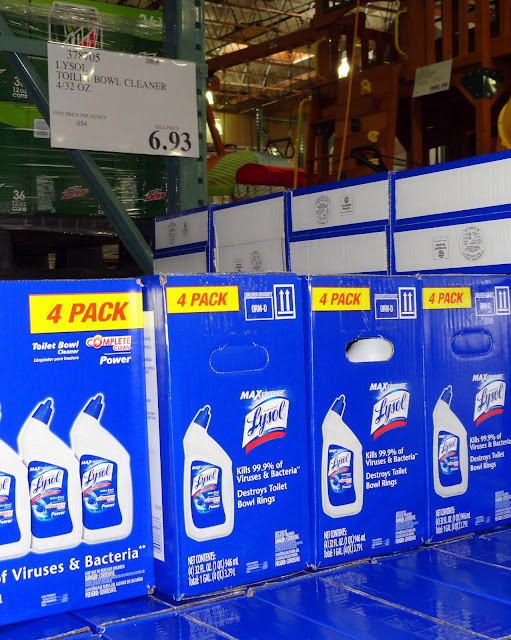 Press and Seal giant box three pack for $10 (with the Costco coupon) is about $5 less than the same amount at regular stores and I LOVE that stuff! Oh, I like the Frantz loaves of bread too. Regular stores have it (in a smaller 2/3 size) for $2 and the two loaf pack at Costco that equals almost three regular size loaves is less than $4. I agree with everything you've said here but I just have one note of caution: be careful at the larger farmer's markets. If you're going to small ones where you know that the people have actually raised their goods, no worries. But my husband used to be in produce trucking and I can tell you that often when produce would be rejected from grocers, they would take that load to the farmer's markets and they would buy it up and sell it as "organic" and "locally grown." I realize not all places are like this but I always feel like passing that on just in case you weren't aware. It's definitely made me look at large markets differently. Hey Rachel! I am your newest follower via Pinterest! I loved your "what not to buy at the dollar store" post. I go there a lot as well and live 2 seconds from ours :] Thanks for the tips! I stock up on capers and roasted red peppers because they are way cheaper than the grocery store. I've also found some great clothes for my husband. I'm stopping by from Serenity Now. Very handy information - bigger isn't always better (or cheaper). 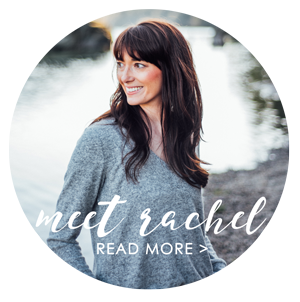 If it's OK with you, I'd like to re-post this blog for my readers at lifeinthemiddlelane. Totally agree with your post! 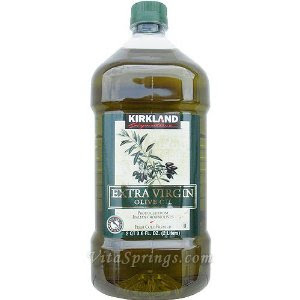 :) Before kids, I was an avid baker, and I used to buy the Kirkland brand vanilla extract at Costco. Great stuff, and you get 16 ounces for $6.99, which is an insane deal compared to $3 an ounce at the supermarket! What great tips! We don't have a Costco near us, but when we were in NC we had one and we purchased a mattress set from them for a steal! Thanks for sharing with us! What great tips, I don't have a Costco card but have been thining about getting one your posts on the matter have helped. On a side note can you give me your recipe for your protein shake with hershey's syrup... I have been trying to lie protein powder... lol. You priced Quilted Northern tp, but what about the Kirkland brand? How does that compare per roll to other brands in other stores. And what about diapers? I'v recently become a bargain/couponer but for wipes you can get them at 2cents per wipe which is a major deal. I agree with you though, I've often found myself wondering if Costco really is the best deal but always been to lazy to really price compare. And my Mom is a Costco aholic, she does all her shopping there with no regard for the price. Thanks for the info. 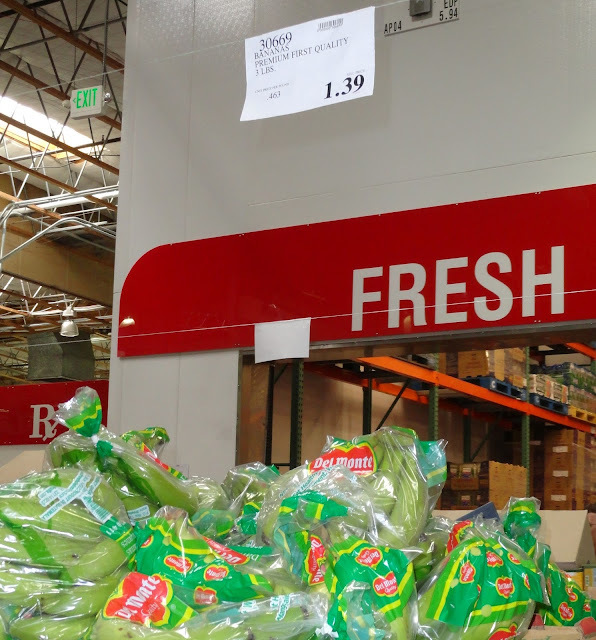 You are right about the fact that not ALL of the produce items at Costco are a good deal. 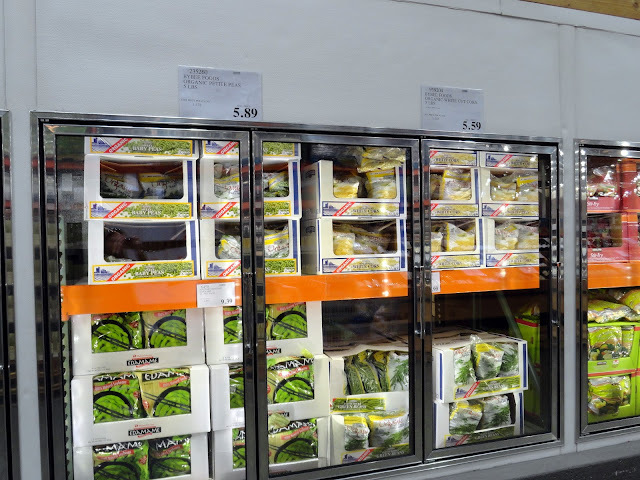 Some of the produce items that I find are usually MORE expensive at Costco than our grocery store are bell peppers, grapes, peaches, cherries, asparagus, fresh mangoes, etc. 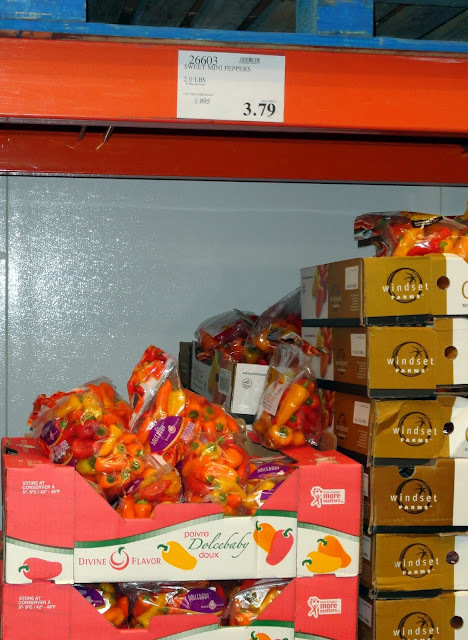 I don't think the mini peppers at Costco are a good deal any longer. They now come in smaller 1.5 lb bags for around $5.49-$5.79. Our local WinCo Foods usually has them for around $1.99-$2.49 per pound, where at Costco, they are over $3.65/lb. 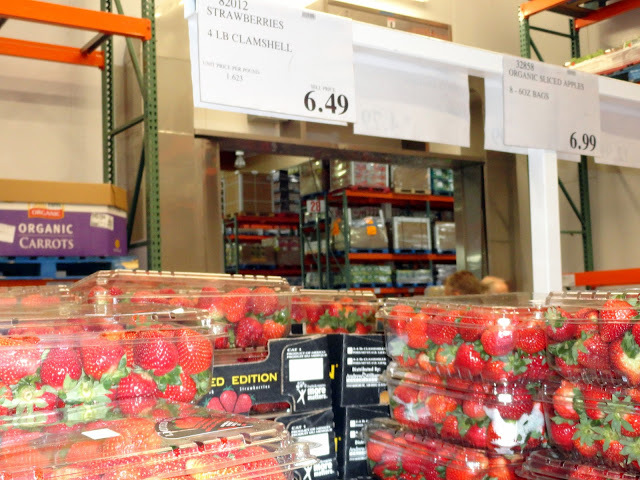 Also, I have found that the strawberries are sometimes cheaper at our grocery store than Costco. In fact, it's been that way since their season started this year. Our local WinCo Foods had them at $1.48/lb for about 7 weeks now, where at Costco, they have been at $1.87/lb for a few weeks now. Costco used to have some cheap stuff in which it's not that way anymore.